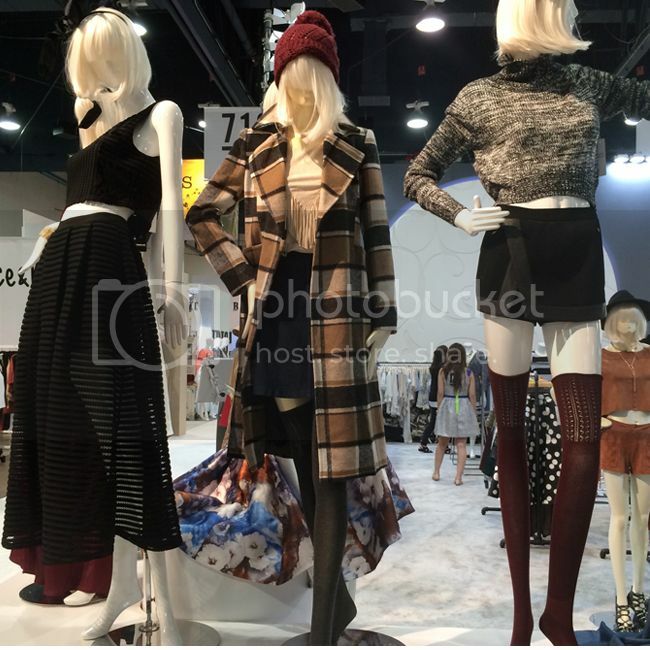 I'm still sifting through photos from last month's trade shows, and in this post I want to shine the spotlight on some of the fall 2015 fashion trends that caught my eye. 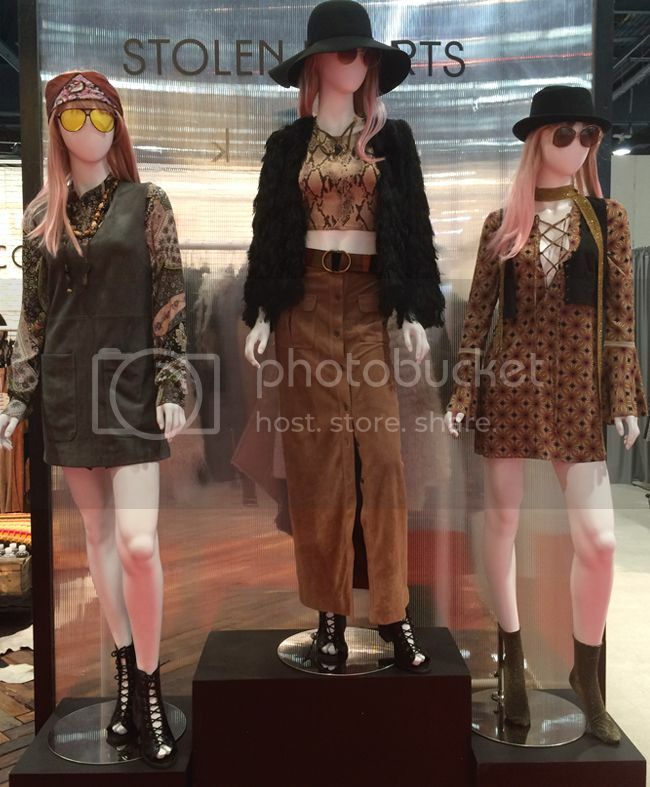 While walking the shows, it's easy to become overwhelmed by all of the visuals, especially given the enormity of the trade shows, the loud music, and the smart phone-distracted hordes of buyers. There are so many vendors and tons of things to see, so information overload is inevitable. My strategy is to go early in the morning before the caffeinated crowds trickle in and photograph anything that appears notable, interesting, creative, or trend worthy. Then I review all the photos later, once I can process all the visuals in a more focused environment. 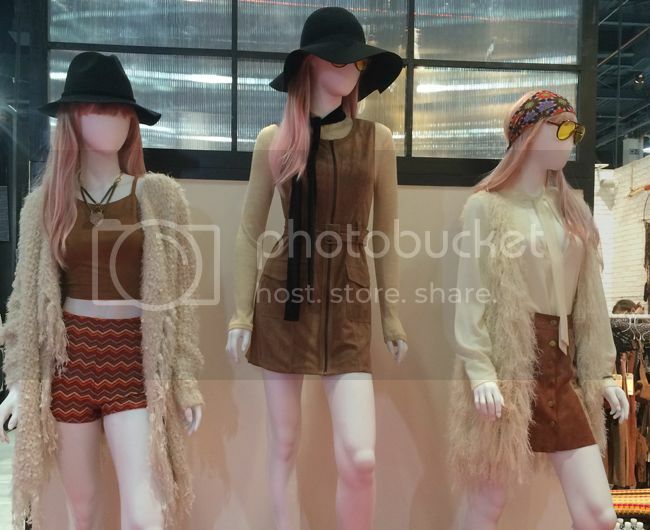 A few fall 2015 trends for Juniors kept appearing over and over again, especially the printed A-line dress, faux suede textures, and oversized outerwear. Let's take a look at my top picks. 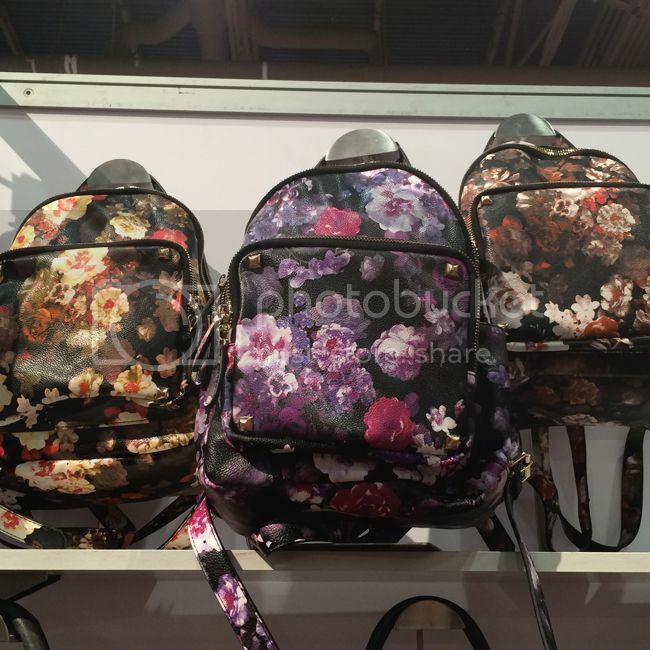 I always gravitate towards the bags by Moda Luxe, and these floral print backpacks are no exception. They look so much more expensive than they are, plus the dark floral print works for all seasons. 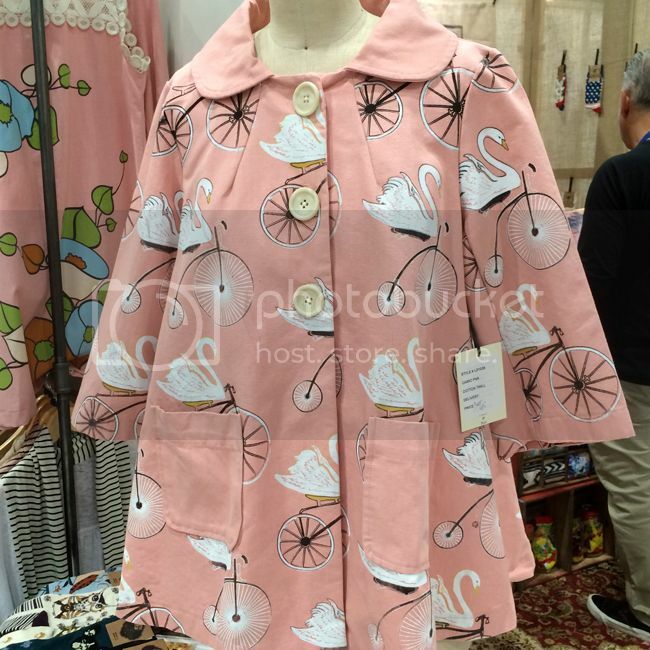 L.A.-based Juniors brand Cecico is a favorite of mine because their eye-catching booth never ceases to offer endless outfit and trend inspiration. 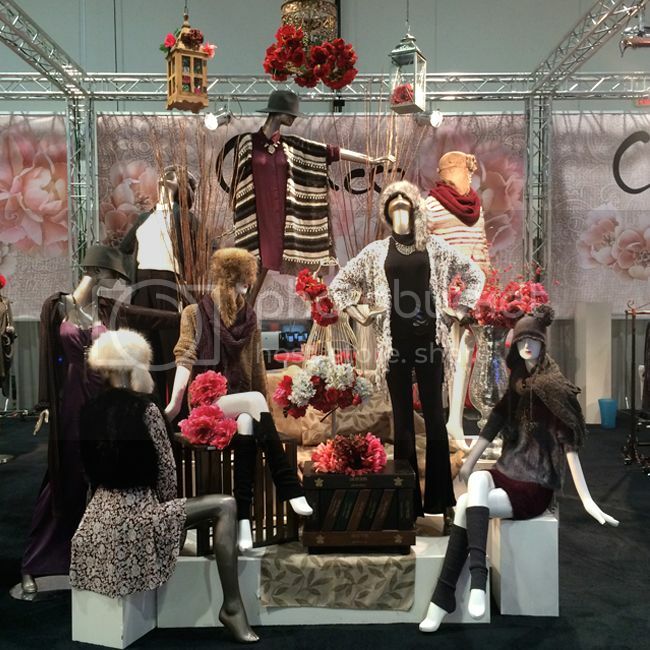 Check out their creative use of floral details and the birdcage props. Cute, right? Chunky knits, layered looks, and boho vibes prevail. The '70s are back in full force for fall, and the layered looks above prove that more is more. 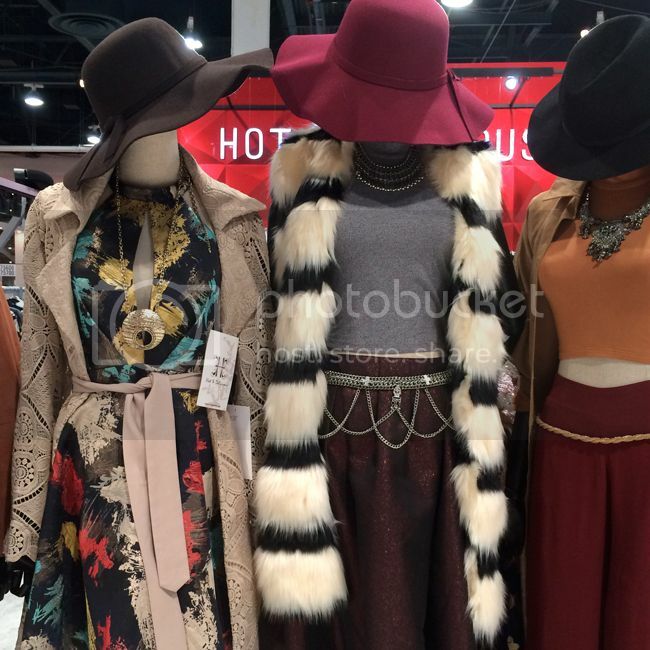 Rich textures, bold prints, floppy hats, and lots of jewelry are the name of the game. Great lengths prevailed in the looks pictured above, namely the midi skirt, maxi coat, and over-the-knee socks. It's all about a play on proportions and an unexpected flash of skin. Faux suede is one of the strongest stories of the season, with the mod faux suede shift dress and the button-front '70s-inspired skirt taking center stage. Note the layering and heavy use of retro colors including camel, olive, and ivory. 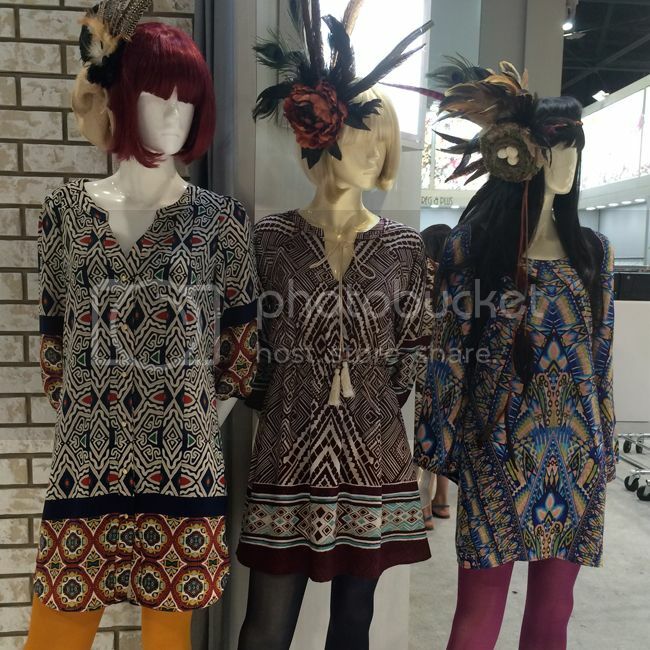 As I walked from booth to booth, the one dress silhouette that kept popping up was the boho shift dress. With its slight A-line shape and bold print, it channels a free-spirited vintage vibe and is easy to style with colorful tights, faux fur vests, fringe sweaters, and fall boots. For more trend inspiration, see my 2016 denim fashion trend forecast, my fall 2016/winter 2017 trend forecast, and my fall 2015/spring 2016 footwear trend forecast. 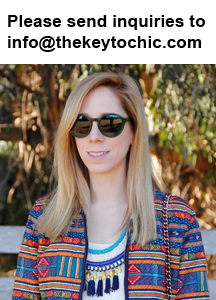 Catch up with me on Facebook, Pinterest, Instagram and Snapchat @thekeytochic.